Since acquiring the G4 Cube I’ve added some more RAM, an Airport card, swapped out the original 20 GB Maxtor HDD for a faster spinning and quieter IBM model and more recently pulled out the ATI Rage 128 graphics card and slotted in a Radeon 7500 in its place, giving Quartz Extreme support. The latter draws a little more power and creates more heat than the Rage 128. From what I’ve read the stock Cube (no, not gravy) is a pretty finely balanced system when it comes to heat generated by the internal components, demonstrated by the fact that there is space provided for a system fan which whilst not included when the system was released suggests to me its exclusion was a touch and go decision for the Apple engineers. I like quiet systems, whenever possible I like to avoid fans and it therefore occurred to me that the Cube would be an ideal candidate for an SSD (solid state drive) upgrade given that it would draw less power, be quiet in operation, generate less heat and leave more space for air to circulate within the cube. This is something that I’ve wanted to try for a long time and whilst prices remain high in comparison to standard mechanical drives they are becoming a little more reasonable. 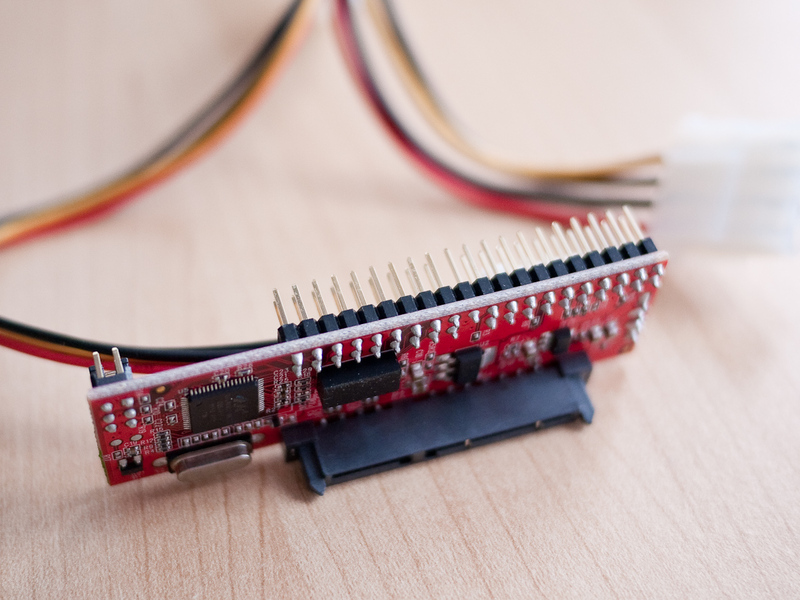 I initially looked at IDE drives given the Cube’s standard interface, however it worked out considerably cheaper to buy an SATA SSD with an SATA to IDE adapter. I chose a Startech SATA adapter, purely because I’d had a good experience with the IDE to CF adapter that I’d used in my Wyse Terminal. 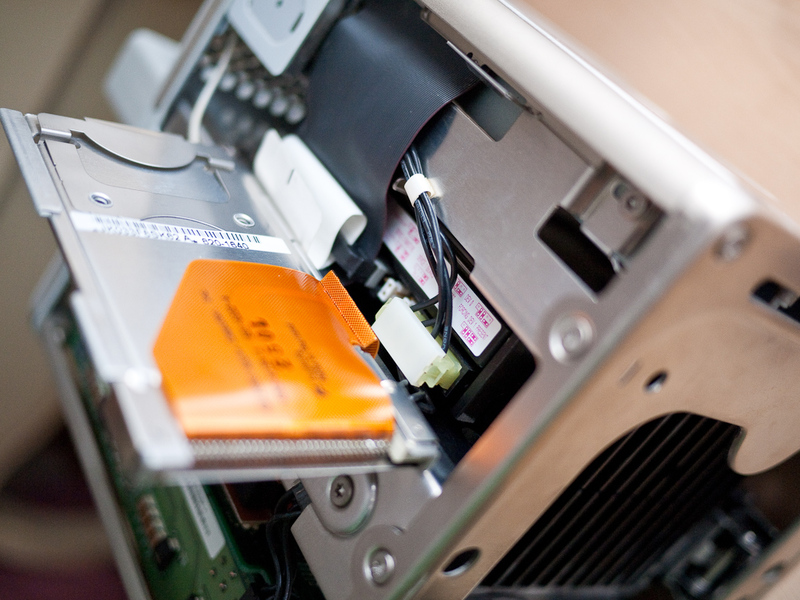 The choice of SSD took a little longer given the myriad of options and prices available. In the end the best value drive I could find was a Kingston V+100 64 GB drive. There are all sorts of issue with SSD drives and TRIM support which I won’t pretend to fully understand, but I do know that OS-X does not support TRIM and according to Anandtech that these V+ drives from Kingston sport the same interface as used by the SSD’s that Apple fits to the MacBook Air. These incorporate built in, OS independent ‘garbage collection’ thus hopefully ensuring the drive speed does not degrade too quickly during use. After backing up my existing drive to a Firewire unit I pulled out the IBM HDD and set about trying to fit the SSD and attached interface inside the Cube. As anyone who has messed about inside a Cube knows the tolerances are pretty tight, with very little give in the cabling. After much fiddling I was finally able to offer up the pins on the IDE side if the adapter to the IDE cable in the cube. However no matter how many which ways I tried I couldn’t marry things up whilst the SSD was mounted in its 2.5″ to 3.5″ adapter bracket. This is due to the offset caused by the SATA adapter. In the end the bracket was removed and tape was instead employed to hold the unit in place. Now the moment of truth, would the combination of drive and adapter work with the Cube? I booted from the Firewire backup and launched Disk Utility and to my great delight the Kingston drive was listed. I partitioned it into two partitions, one for OS X and one for OS 9 which progressed without problems and then cloned the old installation back across onto the SSD. Fingers crossed I disconnected the Firewire drive and restarted and OS X duly booted without issue. I then also installed OS 9 on to the second partition with no problems. Clearly the SATA drive is not operating at anywhere near its full speed capacity given the limitations of the IDE bus and no doubt some degradation from work being done by the adapter however boot times and application launches show a modest improvement and the system is completely quiet! I ran the drive testing element of Xbench out of curiosity and the score of 93.18 seems pretty reasonable, however I do wish I had also run it before swapping drives to give a proper comparison. 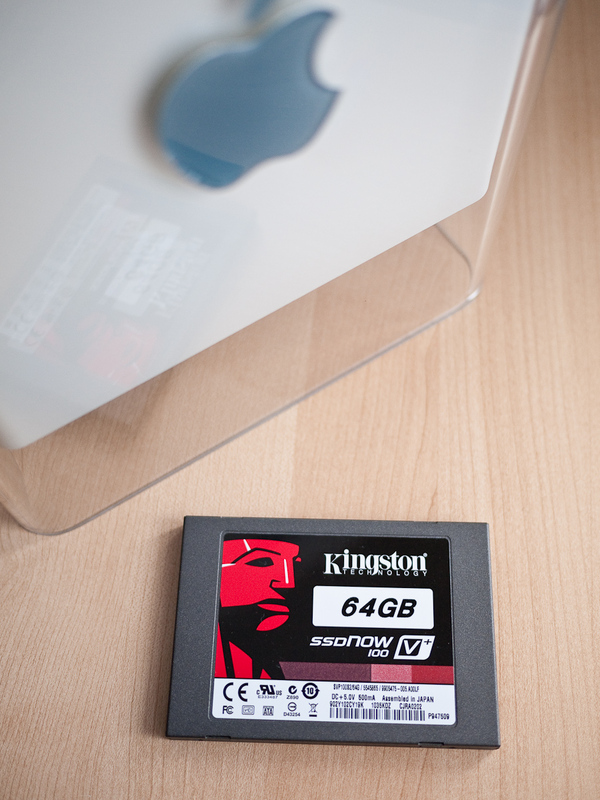 However I’m thrilled with how easy the whole process was and will probably now look at adding an SSD to my MacPro. I use the box as a shell server running OpenBSD/macppc and I’m very happy it has at least 2 more years lifespan and the 35 Watts that it consumes in this mode is acceptable to me. Thanks again for your inspiration! The speed increase is definitely a slight disappointment, I was hoping to at least saturate the Ultra ATA/66 Bus. However as you say, you do end up with a completely silent, relatively lower power consumption box that has the added bonus of being gorgeous to look at! Nice, i have a cube with a noisy ide 120gb hdd, i don’t plan to use a ssd, but a newer silent sata drive will be fine. Thanks, a newer SATA drive will be more than adequate. The SSD is overkill in terms of performance, it’s always going to be strangled by that old IDE BUS.  As silence was my primary aim I may swap it out for a CompactFlash card as I only use the Cube for streaming iTunes. pero sacaste el disco original ?? but… Extract de original disc after o before ? Hi, yes I removed the original HDD and replaced with the SSD. Hi there, after replacing the noisy standard hd with an ssd, I found my Cube having problems waking from deep sleep (using OS X 10.4.6). Does this in any way sound familiar; and would you have any suggestions? It’s not a problem that I encountered. Might it be something unique to the adapter or SSD that you’ve used? It’s not the ssd I’ve since noticed. I’ve replaced it with a faster ITE, and yet the system seems rather instable. I’ve managed to install 10.4.11, but trying to add software – even iWorks or iLife – tends to result in crashes, leaving the drive damaged. I’ve even had a crash dragging an external hd with it and rendering the external unreadable. RAM seems fine. I’m at my wits’ ends as to what the problemen might be.